Have Microsoft broken the Windows (again)? Better late than never - maybe not. Microsoft have released the Surface RT and Pro - tablets running versions of their new "touch-friendly" platform - called Windows 8. This is not the first time this has been tried - using various earlier incarnations of the OS. And most of the earlier attempts at usable slate PCs have not got so far - outside being pretty and modern-feeling props on innumerable episodes of CSI. But Microsoft hoped the Surface would succeed in the real world. 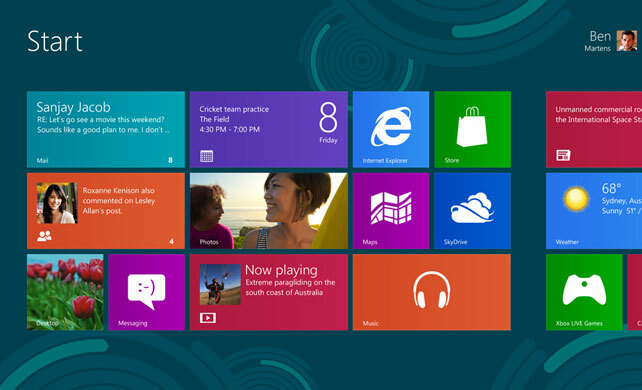 While graphically, the interface (above) has attracted positive responses, in a pretty ham-fisted opening, Microsoft have repeated earlier mistakes by presenting three confusing tiers of Win8 goodness right from the start. To run on ARM chips - the ones used in mobile devices because these chips use less power. It includes a "Student" copy of Microsoft Office but has not generally been well received. The full version also for Intel and AMD, presumably with full legacy support for all your older applications. To be frank, it's been a disaster. Recently, Microsoft have effectively acknowledged this. 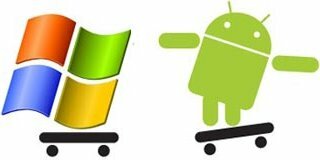 Sales of PCs have dropped around 14% year-on-year with most of that hole left in the market having been taken up by Android and iOS tablets. Windows holds somewhere around a 3 to 4 percent share of the lighter computing product sales over recent months. There are circumstances when you do need to buy something light and Windows-powered. You do have options but they will cost more, or feel like a bit of a compromise. So what was it about the old system that so much needs fixing? A rare sighting last year of two more-or-less equivalent slates side by side. These two Acers had broadly the same screen but the bulk of the Windows W500 on the left is an unhappy comparison with the A500 on the right. Apart from the problems with viruses mentioned in the introduction, Windows also has support for legacy features (those maintained to ensure compatibility with older applications, documents and users). Some cynical outsiders suspect that there are some legacy processes running in the operating system that no one - not even in Microsoft - remembers. They just daren't take them out in case something breaks. So the platform (sometimes called Operating System - "OS") is bloated taking lots of memory, storage and CPU. Slates are meant to be small and battery-efficient. This is a basic mismatch, and clearly they are still struggling to resolve the problem. While Microsoft have made lots of money out of the Windows franchise in the past, now they are perhaps paying the price. The techies that Microsoft seemed to want to ignore are out for revenge. Not only do the Pro and Starter versions of Windows have to labour under a constant threat from viruses, but no Microsoft OS will ever attract hoards of enthusiastic App writers. There's also perhaps an intangible feeling on the street that's now resolved to be against Microsoft and would be against them even if they produced something fantastic. I think it's fair to say that Microsoft haven't tested our resolve by producing anything very fantastic so far.